Dream! pt1 – Stew Rd. 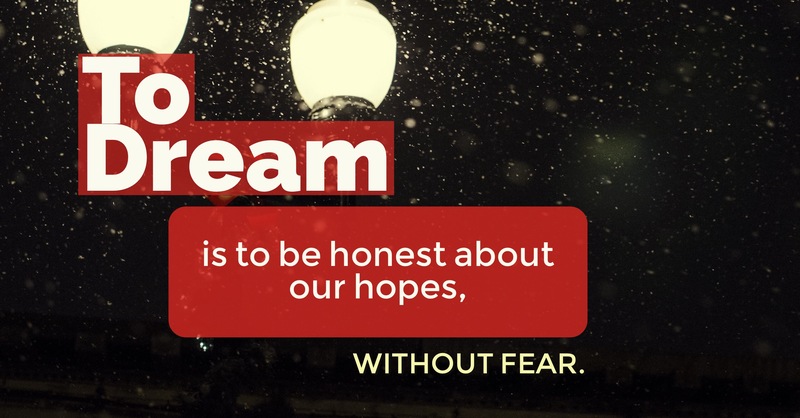 To dream is to be honest about our hopes without fear. God is the original Dreamer! He has plans and a future – #DREAMS – for your life. What is God’s dream for your life? Ask Him. You will probably be surprised. 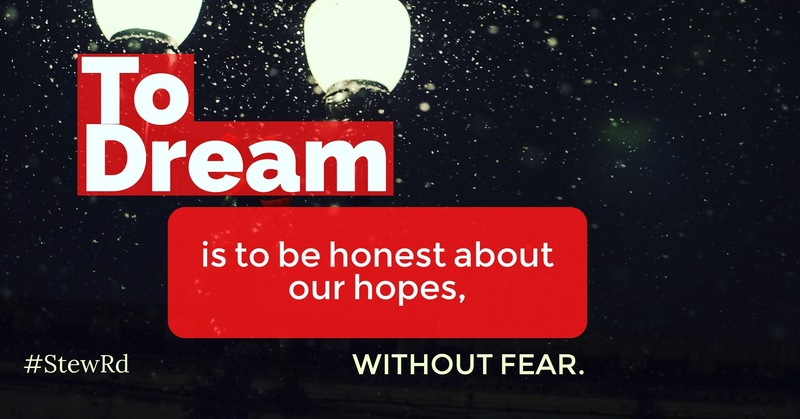 If you were honest and not afraid to say it, what is a dream you have that is bigger than yourself? I’m not just talking about a house or a car, although Father wants to care for you well, I’m talking about something that would change the world around you for the better. What is something you are gifted and passionate to do that would bless people? It may affect millions but it will probably start with just one. The point is not how many people are involved, the point is be true to what God puts in your heart to do. Is it to create something (a business, art, systems)? Is it to serve, care for, or provide something for people that changes them for the better? Dream and imagine as big as you can and God actually has something even bigger because He wants to work in and through to do something greater than you could do on your own. Right at the moment my smallest dream seems selfish and impossible. I am truly weak to accomplish what is just being expected of me by others, moving like a sleep walker in a fog to just keep going for all the “have to do” stuff. Looking past the curtain of “what is ” into the “hope of possibility ” is a far away galaxy that requires something possibly awful for others at this point so I ,like Mary the mother of Jesus, hide these things in my heart and wait and watch to see what God will do to accomplish His good plans He has for Charles and Betty Blackwell. Pingback: 2018: What is God Saying to You? by Jenn Bevan – Stew Rd.